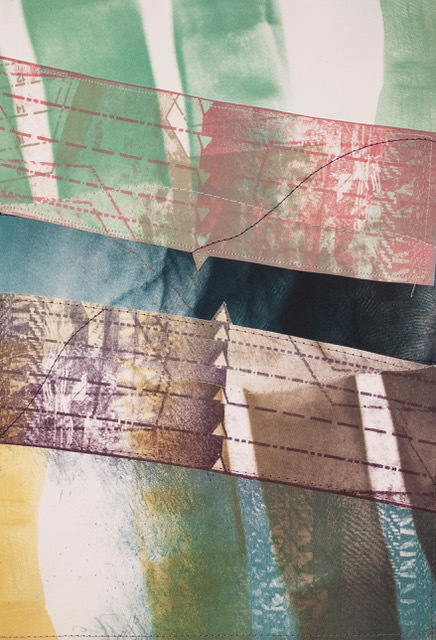 AMES, Iowa — Prints by Andrew Zandt, an Iowa State University graduate student in integrated visual arts, will be on display April 1-5 at the ISU College of Design’s Gallery 181. Zandt’s thesis exhibition, Time, Action, Wear, Memory, explores the relationship between the human body and surface through the lens of skin and clothing. 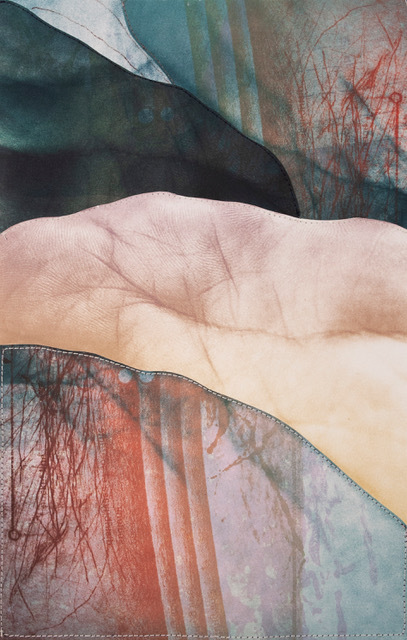 Varied combinations of pressure-printed fabrics and photolithographs of human skin yield unique identities for each print, much like an individual’s fingerprint. Each work is composed of paper and fabric fragments that are stitched together, and the overall shapes of the prints resemble sewing patterns. For Zandt, this exhibition embodies the unpredictability of a working process he describes as “make, observe and respond.” He begins his prints without knowing or being able to expect the final results. “Uncertainty is an important stimulus for making,” he said. “It requires the maker to set up the conditions for something to happen, but it does not dictate the final output.” Zandt tears his prints after the first layer of ink is applied. He then shuffles, reassembles, reprints and shuffles again before sewing the pieces together. “The reunification of the printed fragments is always a powerful moment. It is as if the individual pieces had gone out into the world, had wildly different experiences, successes and tragedies, and then came together to share their stories,” he said. Gallery hours are 8 a.m. to 5 p.m. Monday through Friday. A closing reception will be from 6 to 8 p.m. Friday, April 5. Zandt received a bachelor of design in architecture from University of Minnesota in 2011. 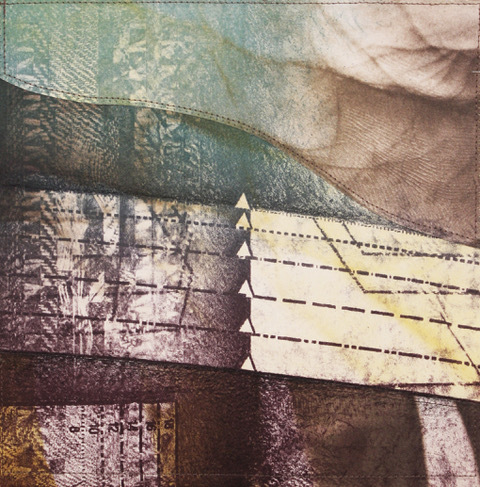 His printmaking work has been exhibited in numerous national exhibitions, including the Mid America Print Council Juried Exhibition in Laramie, Wyoming; the Parkside National Small Print Juried Exhibition in Parkside, Wisconsin; and the Annual Paper In Particular National Juried Exhibition in Columbia, Missouri. He will receive a master of fine arts in integrated visual arts from Iowa State in May. Closing reception for the MFA thesis exhibition of prints by integrated visual arts graduate student Andrew Zandt that explore the relationship between the human body and surface through the lens of skin and clothing.